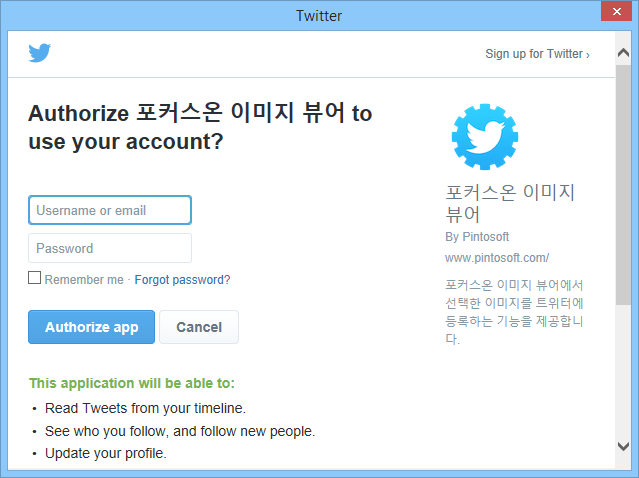 Select the API to use. Currently only MetaWebLog is supported. 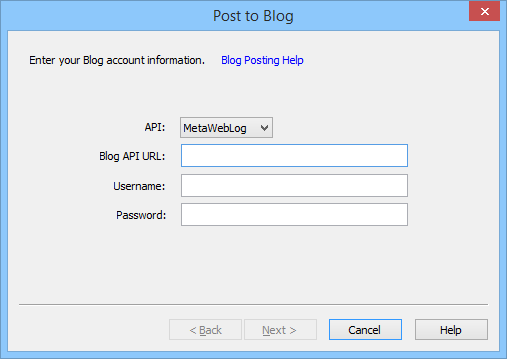 Enter the Blog API URL to use. This is the username to login the Blog API. 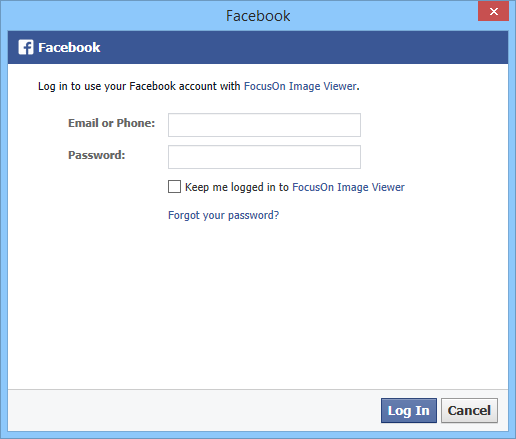 This is the password to login the Blog API. 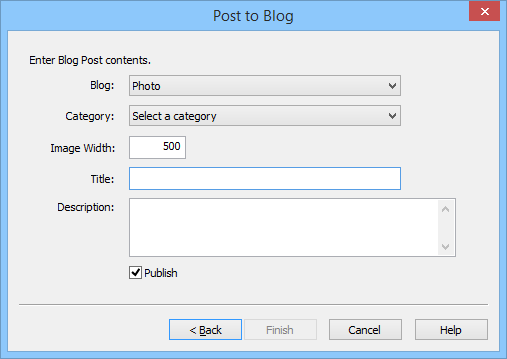 The Blog API is enabled by default on WordPress 3.5 or later. The API is enabled on earlier versions when checking on Seetings > Writing > Remote Publishing. If the blog address is http://example.com, the API URL is http://example.com/wordpress/xmlrpc.php and use the WordPress login information as login information. Select a blog to post. Select a category to post. Specify the image width to post. Enter the contents of the post. 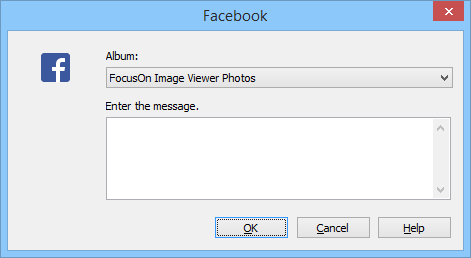 Select the album to publish your photos. 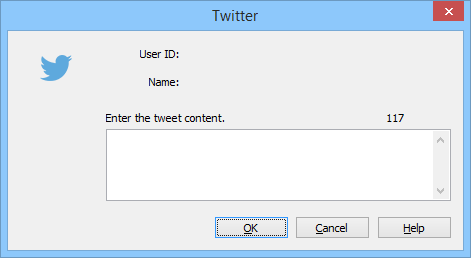 Enter the message to publish.